Your septic tank has served you well. You may have had it pumped a few times, perhaps even had it repaired. However, the time has come to find a replacement. Septic installations may not be your favorite thing to look into, but if you find the right company for the job, there is no reason it has to be too stressful. Superior Septic Service in Lynnwood, WA offers full-service septic care. When you are having a job such as this done, you do not want to spend too much money. It is painful to see your hard earned money spent on something like a septic tank. If you want to find the best service for the best price, give Superior Septic Services in Lynnwood a call. Saving money on septic installations is great, but you don’t want to do it at the expense of good service and quality workmanship. This is not the case when you are dealing with Superior Septic. 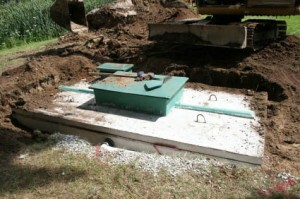 Our experts know nearly everything possible about the septic business, especially in Lynnwood. You will get the product and service you need, with minimal hassle. When you choose quality products and great workmanship, plus you are willing to put the extra effort into maintaining your system, you can feel assured it will last you for many years to come. If you need repairs or septic pumping in the future, once again call Superior Septic. Since they are a full-service septic company, they can do more than just handle septic installations, they will help you every step of the way for the life of your tank. Learn more about the different options available in septic tanks, and get started today. There is no reason to feel stuck with that old septic tank that doesn’t get the job done. Choose Superior Septic and you can have the job completed quickly for the best possible price. Soon you will be back to being able to forget that the septic system is even an issue.